Trucker hats for men have been mainstream fashion now since the early 2000’s and they’re still going strong with the trend showing no signs of running out of steam just yet, but where did the trucker cap come from and how did it end up becoming a wardrobe essential of so many young urbanites? 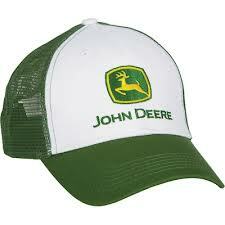 Originally the trucker hat was given away as a promotional item by companies in rural America to workers. From the local animal feed store to tractor companies – hence the ubiquitous John Deere caps – the mesh hats were seen an ideal way of promoting their services throughout the rural communities which they served. The trucker hat was actually a pretty spot on choice of giveaway: functional, practical and cheap, it soon became part of the ‘uniform’ of rural workers all over the States. The combination of the stiff, long peak with the comfortable foam front and the breathable mesh back meant that the cap not only protected the wearer from the sun but it readily absorbed sweat too. Something that anyone who’s ever worn a mesh cap can probably testify to. The plastic back clip also meant that one-size-fitted-all (unless in very extreme cases!) thus saving the companies money as they were able to churn out hundreds, if not thousands, of identical caps. Most of which have probably since been snapped up at crazy prices in hip urban thrift stores. As anyone who’s ever dealt with promotional goods knows, an item of clothing is far more efficient at getting a brand name ‘out there’ – as opposed to say, a coffee mug or a key ring – and the trucker cap certainly did its job. It was only when, with tongue firmly in cheek, that urban youth began wearing the trucker hat that it had its first taste of the limelight and as the trend gathered speed it seemed that you couldn’t walk down any high street without having to dodge those rigid peaks for fear of losing an eye. Popularized by the ever-cool Pharrell Williams, and to a certain extent by Ashton Kutcher and Justin Timberlake, the trucker cap trend shows no sign of abating over a decade later. These days the trucker cap’s most famous fan is probably 19 year old teen-girl favourite and all-round snappy dresser (if low slung leather MC Hammer trousers are your thing) Justin Bieber, but just steer clear of the ridiculous extra high, bright yellow, studded head gear that he favours and you’ll find that you can still rock a mesh cap with style. 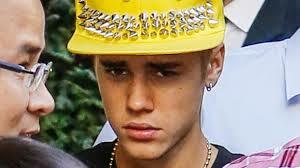 The humble mesh trucker hat: from rural promotional item to urban hero helping bad hair days everywhere. This entry was tagged baseball caps, Justin Beiber, Justin Timberlake, men's caps, men's fashion, men's hats, men's style, men's trends, mesh caps, Pharrell Williams, trucker caps, trucker hats. Bookmark the permalink.